Texas Maritime Lawyers | LMAW, P.A. During the Texas Revolution, the city of Galveston served as the Texas Navy’s primary port. Many people may not realize that during that period in history, Galveston was also the state’s capital for a short length of time. Today, vacationers who are interested in cruising from the state typically take cruises that depart from Galveston, particularly those cruising to not only the Caribbean, but also South and Central American locations. The state has two other ports from which cruises depart: Beaumont and Houston. 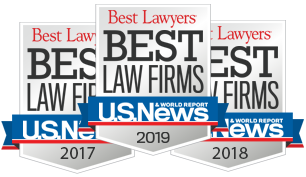 Lipcon, Margulies, Alsina & Winkleman, P.A., a Florida-based firm, serves not only the citizens of Florida, but they are prepared to assist citizens in Texas and elsewhere throughout the United States and globally. The firm is well-known and respected in the area of maritime law, and our attorneys are highly sought-after by foreign maritime lawyers. Were You Hurt While Working in a Maritime Environment? Seamen and women who work on boats, ships and oil rigs typically benefit from the protections of the Jones Act. Additionally, many individuals who are hurt while working near or on waterfronts (or during offshore exploration) may still be entitled to sue under certain provisions of maritime law. The attorneys at Lipcon, Margulies, Alsina & Winkleman, P.A. have handled many maritime cases and are well-prepared to assist you with seeking the just compensation you need and deserve for your injuries. Generally, when workers are injured on land, the state workers’ compensation system and/or certain negligence laws will govern the incident. However, in the case of seamen and other maritime workers, the Jones Act will differ greatly from state law, mainly because different procedural rules apply to seaman cases and liability is based on a different standard than that used for incidents occurring on land. While it may seem glamorous to be able to work onboard a luxury cruise ship that sails from Texas to various exotic destinations on a weekly basis, most people don’t realize that working onboard a cruise ship can be extremely dangerous and strenuous. For example, some crewmembers can be hurt by defective tools and/or machinery onboard, exposure to dangerous substances or food poisoning or even face the possibility of being attacked or assaulted by passengers or other crewmembers. We at Lipcon, Margulies, Alsina & Winkleman, P.A. know that cruise workers are subject to some of the same dangers and risks other types of maritime workers face, and we are fully prepared to investigate the case and will work to protect your rights under the law. Even if you or a family member were hurt while working as a longshoreman or in a repair facility or shipyard, it is important to know and understand your rights. Individuals who are interested in filing a claim or lawsuit should be sure to work with a knowledgeable attorney who has the experience needed to properly handle the case based on the nuances of maritime law. For more information or to schedule a free consultation, contact our office today.